Hey guys! I took out a sew-in.. my last update I said I mini BC'ed in order to get a lot of damaged, colored hair out of the way. So in May I was 3-4 inches. Presently my hair is 5-7 inches. I'm a slow grower, I only retain about 1/4 to 1/2 of an inch per month. APL for me is a good solid 11 inches. Nevertheless, my hair feels a lot better, although I still have about another 3 inches of color I need to get rid of.. ergh . I put a few pics on fotki for anyone interested in peeking :-) Be back soon, keep up the good work!! P.S. Can we keep this challenge going until summer next year?? P.P.S. 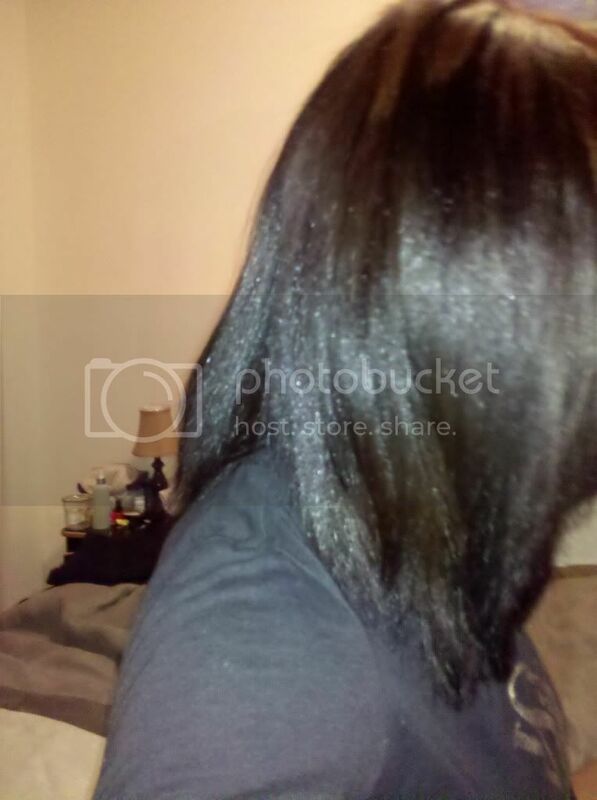 Sew-ins for a PS is the truth for me, and I now SWEAR by castor oil! glad your hair feels better ydl i agree we should keep the challenge open!!! Finally!! Some pics!!! I think I reached apl! What do you guys think? I just got home from finishing this fall semester. and thanks a bunch KikiScorpio92! your hair is so full. my hair DOES NOT GROW. Will be posting an end of year comparison thingy. not good. AmyAmyAmy what's your regimen because whatever your doing doesn't seem to be getting you anywhere. Maybe we can figure out through the ingredients if they are the problem. Or could it be technique?